Elastic gatherings at openings for enhanced sauna effect, Increases sweat output by up to 70%. Double stitched seams for durability with Added hood increases training options and adds amazing style. 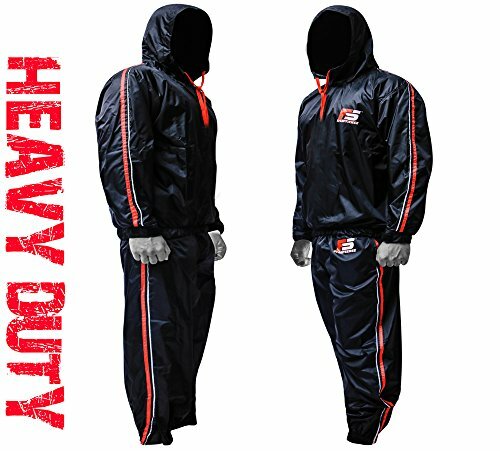 2 Piece Unisex Weight loss Sauna Suit Comes complete with top and bottom. Sturdy EVA nylon construction & Machine washable and sturdy (will not rip or tear). Sleek design and color pattern designed as a unisex workout suit. View More In Active Tracksuits. If you have any questions about this product by FIGHTSENSE, contact us by completing and submitting the form below. If you are looking for a specif part number, please include it with your message.